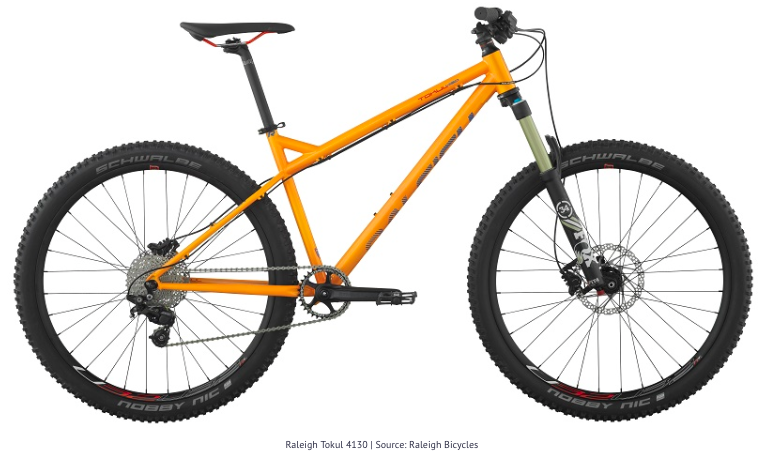 Raleigh's Tokul 4130 was a part of The Cheat Sheet's '5 of the Best Mountain Bikes for Spring and Summer'. The Tokul was chosen for being a great bike for the weekend rider, citing the 27.5 aluminum hardtail frame that is complimented with a 130mm front fork. The front fork is spec'd with a lockout mechanism which, when combined with the rear rigidity of the Tokul, makes the bike an excellent choice for both climbing and descents. Editor's Note: "If you’re a weekend warrior, the Tokul 4130 is just what you’ve been searching for." To view the Tokul 4130, click here.